Okay, first off, let me start by saying that I’ve never in my life had more FUN watching a professional wrestling show (which I wasn’t attending live) than I did Wrestlemania 30. The Juice Make Sugar Wrestlemania Weekend Slobberknocker was lots of fun, with lots of great people. People who knock professional wrestling (and its fans) have never watched a show in that environment. I guarantee it. So party aside, I’m still riding high after last night’s show. I was blown away by some of the booking, and a couple of picture-perfect Wrestlemania Moments, which will surely be spliced into highlight reels for years to come. I received TONS of angry text messages during the show, and since it ended—mostly related to the death of the streak. We’ll address that a little later on, but let’s just say I’m NOT angry about anything from last night’s show, including 21-1. The kickoff show match for the tag team titles certainly delivered. The action was solid. All eight guys BROUGHT IT. And for a while, it was perfectly believable that Cesaro and Swagger would take the titles. I really like the way this match ended. Cesaro made a simple but long-awaited face turn, that set the stage for what would follow on the main show. And boy did it deliver. I could have done without this segment. It didn’t add anything to the show for me. BUT, with that said, it was impossible to hear the live crowd at the bar. For all I know, the crowd ate this up and loved every second of it, properly pumping them up for the show-starting main event. This match was absolutely perfect. If it wasn’t for the “winner goes to the main event” gimmick, it would have been perfect to close the show. The story was everything it should have been. Triple H mercilessly beat the hell out of Daniel Bryan, then put him over clean. It was exactly what I wanted, and what was needed. I remember two things about this match. The Shield’s terrifyingly-cool entrance masks, and the triple-double powerbomb spot on the New Age Outlaws. That’s plenty. 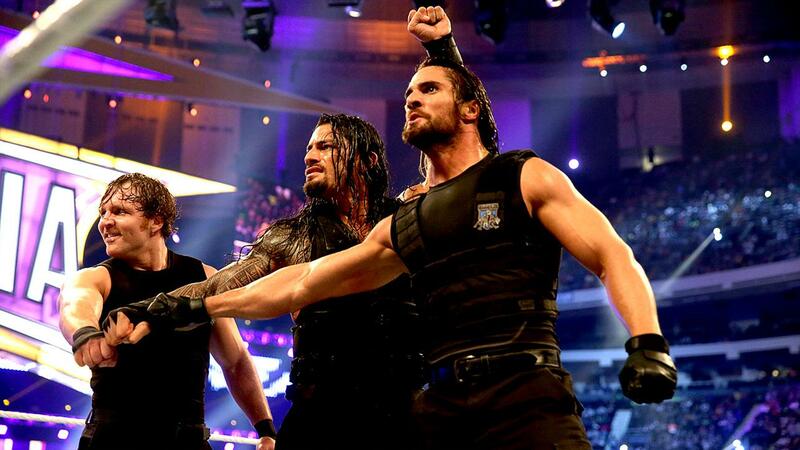 Expect lots of talk about that ending for the next few weeks, anytime we see The Shield. Guys, Cesaro bodyslammed The Big Show over the top. He bodyslammed The Big Show over the top rope. Forget Kofi’s “I was almost eliminated but I’m not eliminated” spot of the night. Forget the fact that Yoshi Tatsu and David Otunga were in this match. CESARO BODYSLAMMED THE BIG SHOW OVER THE TOP ROPE. 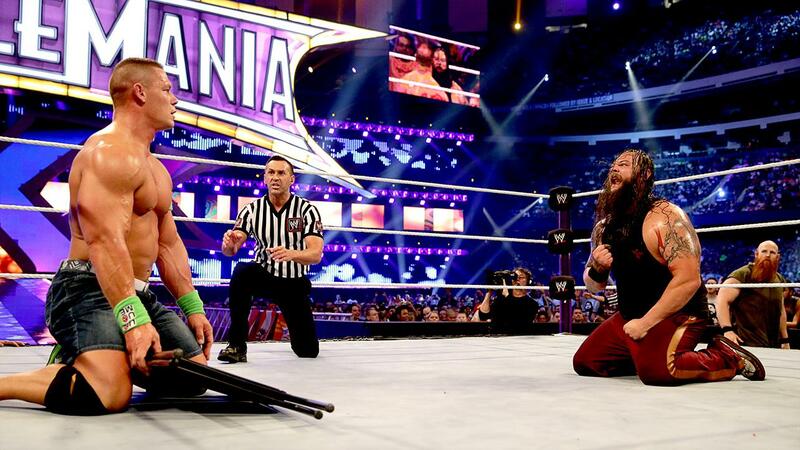 This wasn’t’ just a Wrestlemania moment, it was a total mark-out moment. Genuinely awesome. This match was great, even if some of the folks who would later blow-up my phone disagreed. It told the story it was meant to tell, and sold the storyline. Wyatt loses the match, but still accomplishes the task he set out to achieve. Everyone wins, including the fans. Oh, and I’ll always love the “spear through the guardrail” spot. 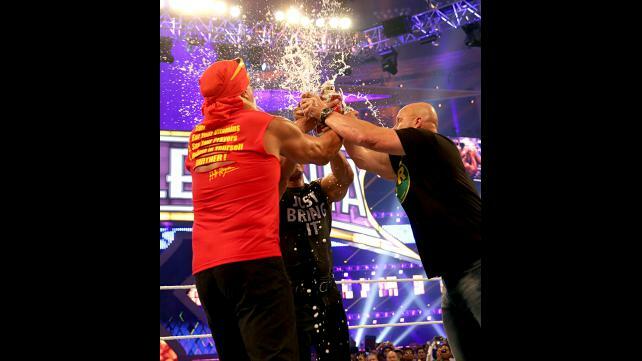 It was a great way for Cena to neutralize Wyatt’s backup. Okay, I know this one is controversial, but I really don’t have a problem with it. Yeah, the streak that started a week before my fourth birthday has ended, 23 years later. I get it. I was (and, to an extend, still am) shocked, but I’m not angry. Why? Because I get it. First off, the talk right now is that Undertaker is DONE. He’s too hurt, he can’t keep going. You know what else is being reported? That Undertaker CHOSE Brock. He wanted Brock to break the streak. It’s what HE WANTED TO DO. “Undertaker picked Lesnar. He WANTED Lesnar to end the streak. Lesnar is the last legitimate athlete/fighter/badass in pro wrestling. UFC Heavyweight Champion. All-American amateur wrestler. Oh, and that time he was almost a Minnesota Viking. That’s not horseshit, it’s fact. Undertaker respects Lesnar. Undertaker CHOSE Lesnar. Undertaker made Brock what he’s supposed to have been this whole time – the next big thing. If Brock comes out tonight, and they announce him as the next guy to challenge for the WWE title, it will be PERFECT. Brock will have done what no one could for 22 years – beat the Undertaker at Wrestlemania. How can you stop him from winning the title? Besides that smart-mark reality check, here’s another undeniable fact. The move is gaining mainstream media attention. Search “The Undertaker’s Streak” on Google right now. Know what you’ll find? Articles in Sports Illustrated, Fox News, Fox Sports, USA Today, and many others – all of whom come up in results long before WWE.com. You know what that means? More people watching Raw tonight, when Brock Lesnar announces his intentions to challenge for the WWE World Heavyweight Championship. The ONLY bad news coming out of this match is that Taker was hurt. The Deadman was hospitalized over fears he could have a concussion, and a neck injury. Here’s hoping for a speedy recovery for the Deadman, so he can comfortably enjoy his retirement. I honestly didn’t see that coming. I thought this was going to be the night they punished the future Mrs. CM Punk, or at least rewarded one of the other divas for their hard work. I’m looking at you, Naomi. That said, AJ didn’t win this one fairly, so I’m predicting a rematch of sorts tonight on Raw…possibly including a title change. If only they’d stop burying him, huh? This show was as close to perfect as any I’ve ever seen. It toyed with my emotions perfectly, built me up and paid off a full year of storylines. You really can’t ask for more. I CANNOT WAIT to watch Raw tonight. I CANNOT WAIT to see what happens next with Brock and Bryan, not to mention Cena, Wyatt, The Shield, Orton and Batista. Oh, and I can’t wait for the next Juice Make Sugar viewing party. Seriously, if you missed this party, you REALLY missed out.